Discover the thriving street art scene of Townsville. VISIT DISCOVER THE THRIVING STREET ART SCENE OF TOWNSVILLE. Townsville is famous for its warm weather, beautiful beaches, relaxed atmosphere and proximity to the Great Barrier Reef. But tucked away amongst all this natural wonder is a hidden street art scene, withcolourfullaneways, magnificent murals and artistic warehouse walls that would not be out of place in the cultural hub of Melbourne. Starting at Castle Hill, you will find the oldest, and potentially most famous piece of street art in the region. The ‘Saint’ was painted over 50 years ago on St Patrick’s Day by local students and remains visible today. Work your way down to Sturt St, where you will find works at the ‘Cowboys League Club.’ Then move onto City Lane and Arcade where you will find multiple works including impressive murals from Fintan Magee and Lee Harden which can be enjoyed from the cafes, bars and restaurants in the area. Heading down to Ogden St you will discover a wide range of street art mediums including stickers, paste-ups and more traditional murals, which showcase the variety of the local scene. 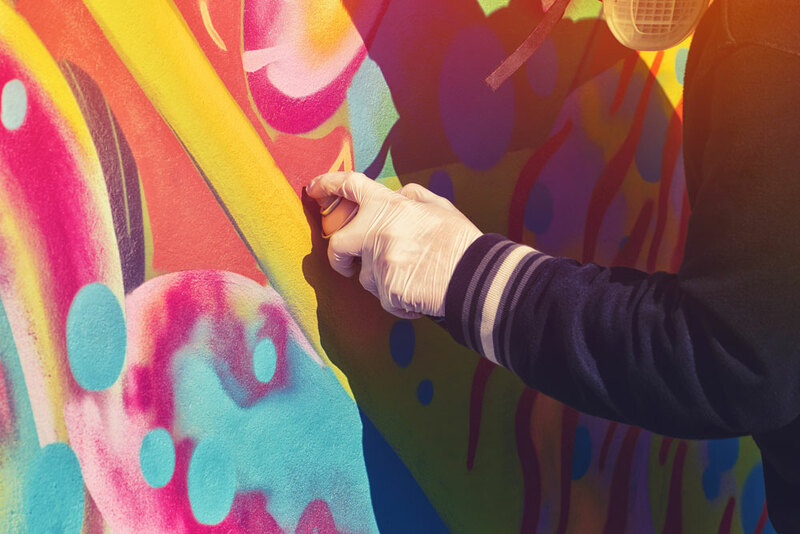 Finally, visit Denham Lane where you will find a fantastic selection of colourful, large murals that demonstrate the exquisite talents of the local street art scene. Taking the street art tour of Townsville is a fantastic way to add some excitement while you traverse the streets and familiarise yourself with the city. There are a variety of works hidden in car parks, laneways and behind local shops. Make sure you bring your camera to capture your favourite piece.